Besgrow Briquettes are small compressed bricks Classic Coir; they can be used for mixing with other substrates or as a standalone media. Classic Coir has excellent water holding capacity and therefore is ideal around the root zone of your plants. Besgrow Coir Briquettes are also frequently used as bedding in worm farms as worms prefer the organic nature of coir over regular soil. Besgrow Coir Briquettes are individually wrapped and once hydrated you will obtain approximately 9 litres of reconstituted material. Besgrow Coir Briquettes are easy to use. Simply remove from wrapper, place in a large container and fill with approximately 4 litres of water. 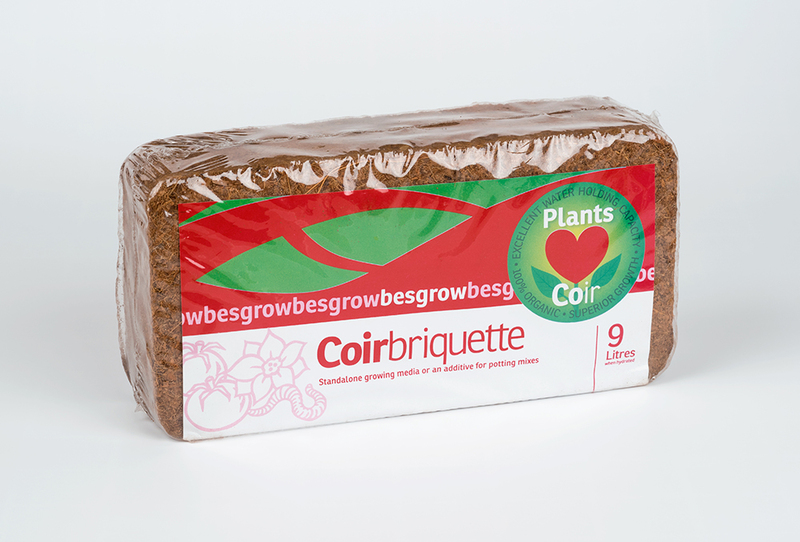 After allowing 20-30 minutes for the Coir Briquette to hydrate, the Coir will be ready to use. All Besgrow Coir products, including Briquettes, are produced from sustainable and renewable coconut plantations.